Christina Wendt is a sculptor, or a 'human designer'. 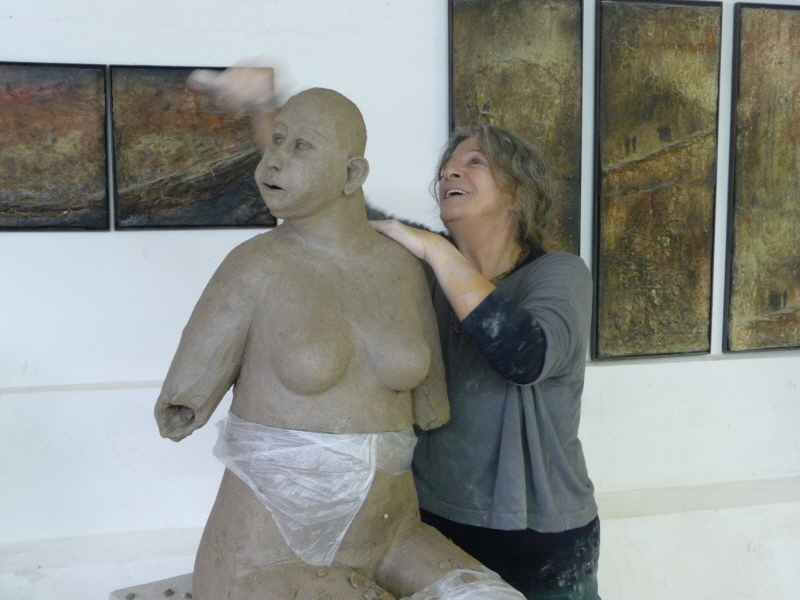 Her artistic practice is characterised by an intense interest in her fellow human beings, through her life experience in a variety of forms, through dedicated intervention in social relations. Her human figures lack any attributes of civilisation, and yet are cultured persons and charismatic contemporary witnesses. As three-dimensional snapshots, as monumental character studies of ordinariness, they direct us with amiable presumption towards the weaknesses and imperfections of human beings in the here and now. They communicate with each other and with their environment. As observers, we recognise the mirror that is being held up in front of us, and that wants to encourage us to question ourselves.